In the latest episode of Blindspot season 3, the FBI team had to stop Crawford (David Morse) getting his hands on a dangerous weapon. The episode opened up with a flashback to a year earlier aboard a private plane. A military general was working on a document about a top secret project called Golden Rhino. Another scene showed Kira (Gloria Reuben) talking about the project which is some fancy advanced weapon that Crawford wanted. They had a problem though because the General was going to kill the project. Avery’s adoptive father was in on the discussion and suggested giving a demonstration of the weapon’s power. Back aboard the plane, the pilot’s collapsed while the windows exploded. The plane crashed and everyone died, with little evidence left of what had happened. 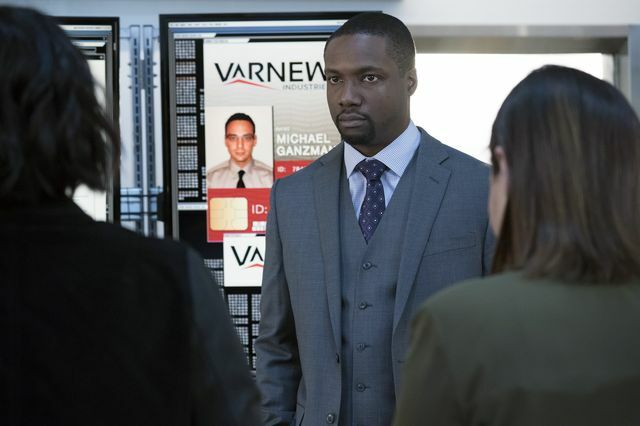 At the FBI, back in the present, Patterson (Ashley Johnson) had found a lead on Crawford’s land deal. A new tattoo hit came in for a beetle tattoo made up of two different species. It pointed at an imminent book launch about Project Golden Rhino. The team brought the author, Daschelle ‘Dash’ Watkins in for questioning. He was reluctant to talk until they also brought a copy of his book in. He eventually explained that Golden Rhino was capable of mind control. The team weren’t convinced so set Patterson working with Dash to uncover clues in his research. They needed to track down the weapon creator, Michael Ganzman (Michael Drayer). First they discovered a related contact called Surjik Fells (Alex Morf) who was in prison. Reade (Rob Brown) organised Fells to be transferred into FBI custody. 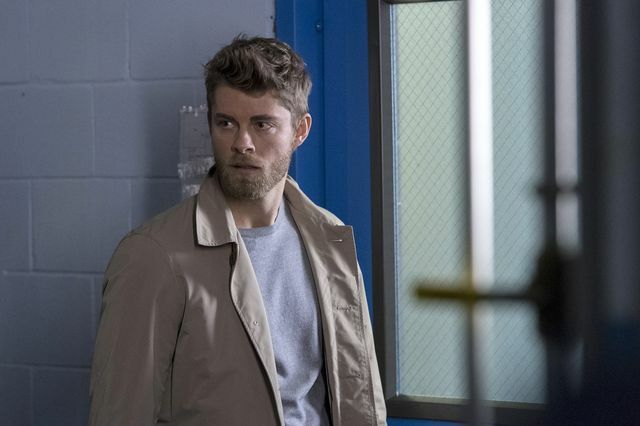 Unfortunately for the team, Roman (Luke Mitchell) was working to prevent the team from getting the weapon. He intercepted the transfer of Fells and interrogated him. Blake (Tori Anderson) became more suspicious of Roman and turned up at his hotel in New York. He was in the middle of torturing Fells and had to think quick to keep it from Blake. After getting the info he needed, Roman killed Fells and called in a clean up crew. He suggested a trip to Blake which was actually the place he needed to be for his next target, Ganzman. An FBI team were also on their way but their helicopter was taken down by the weapon. Patterson managed to work out how the weapon worked and discovered it wasn’t a mind control device, but it could cause brain hemorrhaging. 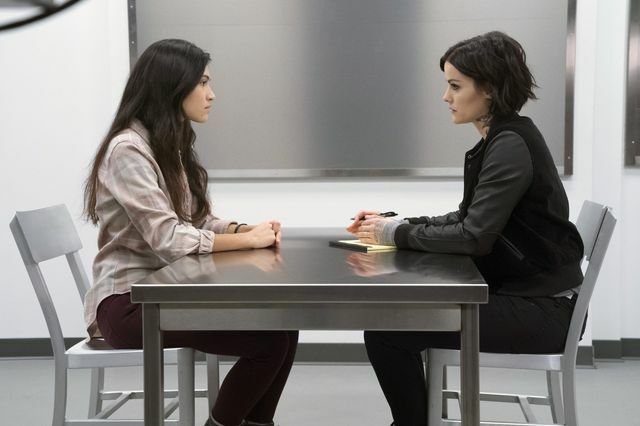 A fake interrogation between Jane (Jaimie Alexander) and Avery (Kristina Reyes) tricked one of the executives, from where Ganzman worked, into giving up his location. They set a meet and it was the FBI in a race to beat Roman. Weller (Sullivan Stapleton) and the team arrived in a heavily armored humvee. It got them close but the weapon made it incredibly difficult. They had to exit the vehicle and hide behind for extra protection. Weller then used a rock to send it crashing into the weapon. As Ganzman tried to flee he came across Roman, who knifed and killed him. Roman briefly came up against Jane but she struggled to put him down. Jane gave chase but Roman escaped again. At least they stopped Crawford getting the sonic weapon. At the end of the episode, Avery agreed to move in with Jane and Weller, much to their delight. Roman launched an attack which overloaded Patterson’s tattoo database. How much longer can he stay ahead? 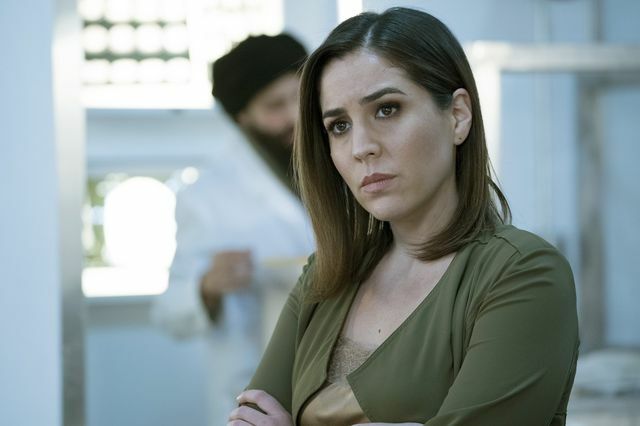 Read our preview of Blindspot 3×20 Let It Go.